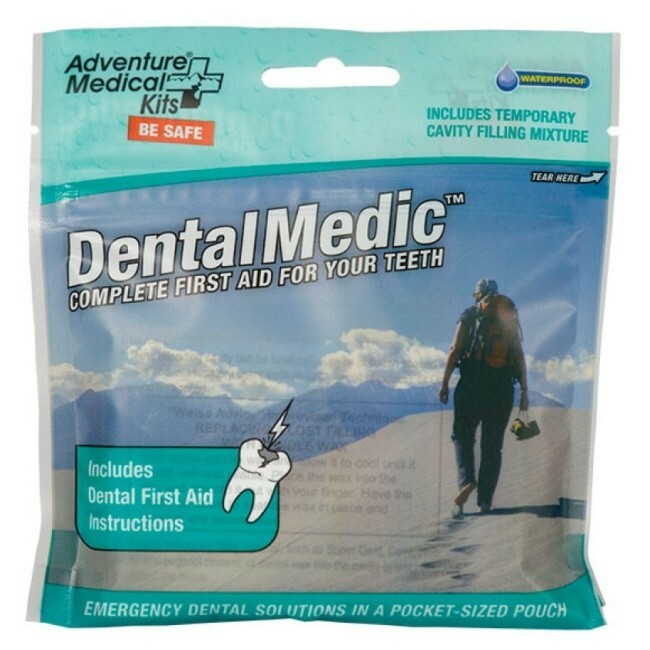 The AMK - Dental Medic is a great addition to a first aid or survival kit. It has all the dental essentials you may need in case you have an unexpected surprise on your next trip when you're nowhere near a dentist. 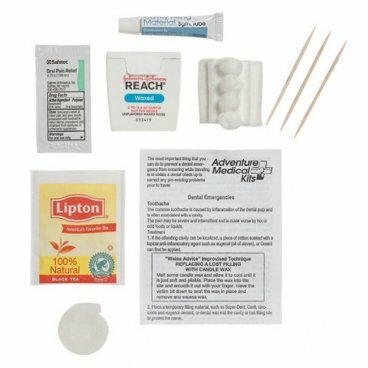 It includes 1 - Dental Medic Instructions, 5 - Cotton Rolls, 1 - Temporary Cavity Filling Mixture, 1 - Dental Floss, 1 - 100% Natural Pekoe Tea Bag, 5 - Cotton Pellets, 1 - Wax Rope, 3 - Tooth Picks, and 2 - Anbesol/Orasol, Benzocaine 20%, 0.75 g, for medication.